The Ozarks Technical Community College Fine Arts Department will present its annual holiday production of “It’s a Wonderful Life: A Live Radio Play” at the Gillioz Theatre Dec. 8-9 at 7:30 p.m. and Dec. 10 at 2:30 p.m.
Joe Landry’s adaptation of this beloved American classic comes to life as a live 1940s radio broadcast. With the help of an ensemble that brings a few dozen characters to the stage, the story of idealistic George Bailey unfolds as he imagines — with help from his 292-year-old guardian angel — what his life would be like had he never been born. 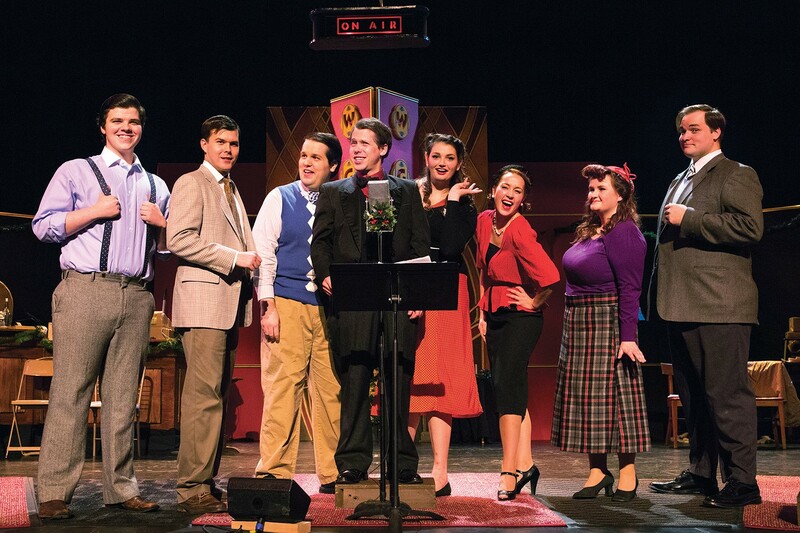 General admission tickets for “It’s a Wonderful Life: A Live Radio Play” cost $10 and will be available at the door. OTC students, faculty and staff who present a valid college ID will receive two tickets free of charge. 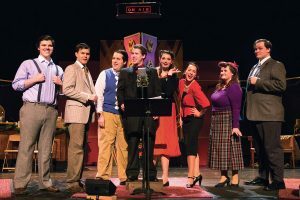 Audience members are encouraged to wear 1940s attire for an immersive theatrical experience.